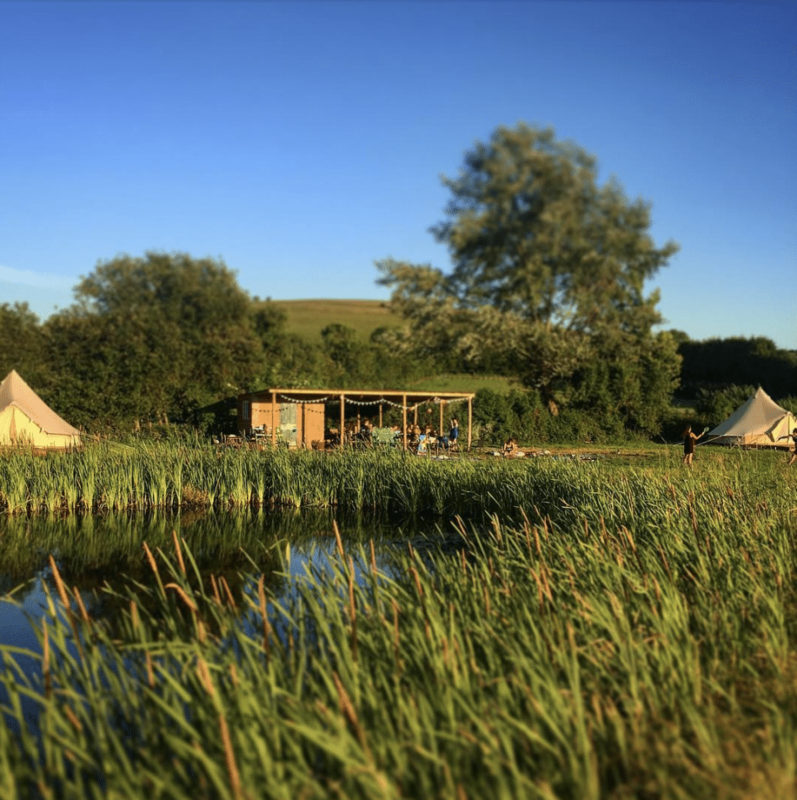 Why does Wiltshire make such fantastic location for glamping? 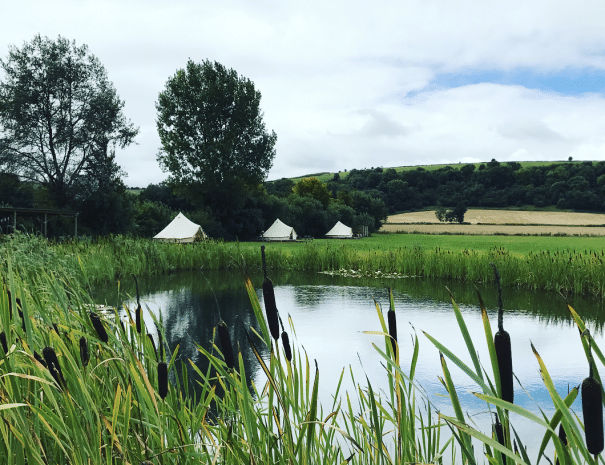 Our campsite is ideally located for Salisbury, Wiltshire, and Dorset. We also have an abundance of activities and fantastic places to visit on our doorstep. The neighbouring village of Broadchalke has a good pub, an excellent shop stocking local produce and incorporating a cafe and post office. There are also watercress beds, where you can buy fresh watercress and free range eggs at any time of day. There is a good selection of traditional pubs right down the valley and in the surrounding area. A beautiful walk over farmland and footpaths leads to the Horseshoe Inn, which specialises in traditional ales and hearty food. A visit to Salisbury is a must with its magnificent cathedral and close, and its many shops, cafes and restaurants. A bus service operates from Bowerchalke to Salisbury. Further afield is the Jurassic Coast (the famous Durdle Door and Lulworth Cove), the seaside town of Weymouth, Stonehenge, Longleat House and Wildlife Park, Cheddar Gorge and Wookey Hole caves, and attractions such as Bovington Tank Museum and Monkey World, all within an hour’s drive. 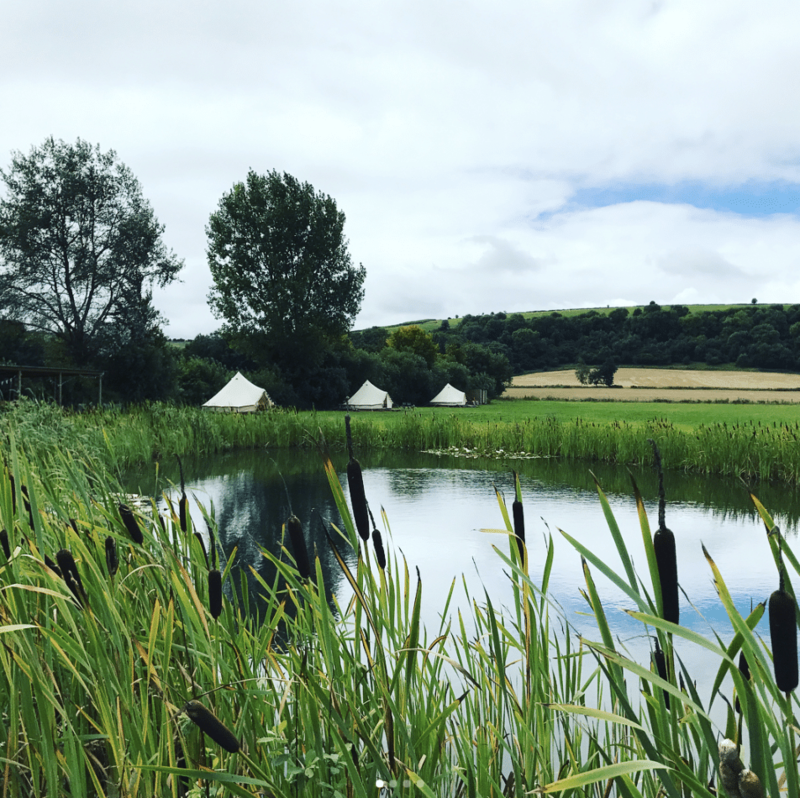 Local events during the summer months include The Chalke Valley History Festival, The Larmer Tree Festival, The Great Dorset Steam Fair and the Shaftesbury and Gillingham Show. Located in the small town of Shaftesbury, it is often described as 'one of the most romantic sights in England'. Made famous from the much loved 1973 Hovis advert and its quintessential English view. A landmark that needs no introduction - Stonehenge is perhaps the world's most famous prehistoric monument. A sunrise visit without the crowds is definitely recommended. Avebury Henge and Stone Circle, a neolithic monument containing the largest stone circle in Europe is certainly worth a visit. The museum is also excellent, containing one of the most archaeologically significant prehistoric collections in Britain. Some of the most beautiful neo-classical gardens in Britain, a Palladian mansion, and numerous temples - a day trip to the Stourhead Estate is a must. Opened in 1966 as the first drive through safari park outside Africa, Longleat is one of the most enjoyable family days out. A tour around the Elizabethan mansion, and getting lost in the largest hedge maze in Britain are also recommended. Durdle Door is probably the most famous stone arch anywhere in the world. It is also worth making the drive from Chalke Valley for a walk along the beautiful Dorset jurrasic coast. Need some more advice for your trip? 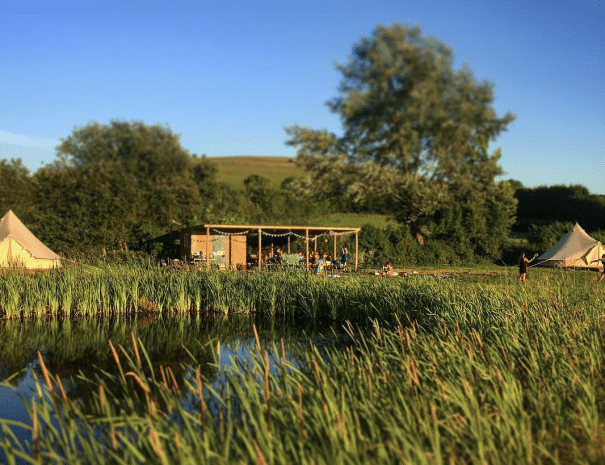 A thirty minute walk along footpaths from Chalke Valley, this excellent pub offers hearty lunches and traditional ales. A short drive from Chalke Valley, this traditional pub is well known for its high quality of ingredients and cooking. A great pub to stop off on if you're cycling or walking through the Chalke Valley. Located in the neighbouring village of Broad Chalke.